Smith’s Food And Drug Centers is one of the subsidiaries of The Kroger Company and is a chain of supermarkets. To find out how to apply for Smith’s Food And Drug online, follow the link at the bottom of the page to submit your Smith’s Food And Drug application today. The first Smith’s Food And Drug store dates all the way back to 1932. The first store was opened by Lorenzo Smith in Brigham, Utah. The company stayed in the family for many years until it was bought by Kroger, and went through a large period of expansion in this time. The headquarters of the company are located in Salt Lake City, Utah. The company now has over 130 different locations across the Southwest and Northwest regions and in Tennessee. The stores often include not just groceries but also pharmacies, delis, one hour photo services, banks, wellness services and fuel centers. The company is also very proud of its record with helping its local communities. It donates to various charitable organizations including local food banks, breast cancer charities and the Salvation Army. Local charitable organizations such as schools or churches can also apply for a donation from them if they meet the required criteria. 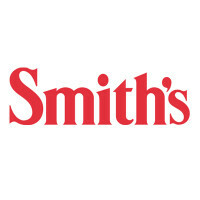 In their retail locations there are always many Smith’s Food And Drug jobs available. The most common positions are Courtesy Clerks, Produce Clerks, Non Foods Associates, Grocery Stockers, Bakery Clerks, Assistant Managers and Store Managers. Many of these jobs are entry-level and won’t require you to have much prior experience. When you apply online for corporate roles you may need to go through the Kroger website. The types of openings will be in the departments of Accounting and Finance, Administration, Sales and Marketing, Human Resources, Information Technology and Merchandising among many others. For many of these careers you will need a college degree in a relevant subject. How old do you have to be to work at Smith’s Food And Drug? You must be at least 16 years old or over to apply for jobs at Smith’s Food And Drug. The stores are open from 10am to 9pm Monday to Friday, 12pm to 8pm on Saturdays and 10am to 9.30pm on Sundays. Eligible employees will be able to enjoy a number of benefits with Smith’s Food And Drug careers. The types of benefits available are health insurance packages including medical, dental and vision insurance, 401(k) retirement plans and paid time off. There are always many opportunities for further advancement in your career. Cashier – The responsibilities in this job mainly revolve around the customers so good interpersonal skills are vital. You will need to greet and serve customers and answer any enquiries they might have. Cashiers operate the cash registers and process different types of transactions. The pay for this job is usually $8-9/hour. Grocery Stocker – This job has a few physical requirements as you will be on your feet for most of your shift and will need to be able to repeatedly lift heavy objects. Most Stockers work in the evenings and nights restocking the merchandise on the shelves while there aren’t many customers in the store. You can expect to earn between $10-11/hour. Bakery Clerk – Working in the bakery you will be responsible for helping to create the fresh bakery products for the customers. Every worker will need to keep to strict food preparation and hygiene standards. There will also be other duties including cleaning to carry out on a daily basis. The pay can be up to $14/hour. Store Manager – The job description for this role requires you to have oversight over all aspects of the store. You will be responsible for hiring and training new employees as well as ensuring the continuing performance of the existing employees. There will also be administrative duties including scheduling and payroll. The salary for this job starts at $35k/year. To increase your chances of employment, practice some typical interview questions after you’ve submitted your Smith’s Food And Drug application. Why do you want to work here? Always remember to be positive about the company when you answer this question, it helps if you’ve done some research about the company before you get to your interview. Tell me about yourself. This isn’t an invitation to tell the hiring manager your entire life story. Always stick to skills and experience you have that are relevant to the job opportunities that you want to be considered for. How do you cope working in a team? If you can, it always helps to give examples from your previous experience to help make your point. Team work is important to all Smith’s Food And Drug jobs so be positive about your experiences. What is your biggest strength? Always keep it relevant to the skills necessary to working in the industry, it’s important that you don’t get off topic. What is your availability? They will often have specific shifts to fill, so it helps if you can be flexible in your schedule. Before you submit any applications, make sure you have your schedule worked out. You can search for Smith’s Food And Drug jobs online and find a list of opportunities on the careers section of their website. You can also submit a Smith’s Food And Drug job application online through the Kroger website, especially for corporate roles. The online application form includes a questionnaire consisting of behavioral questions. For store-based opportunities you can also make a direct application to your local store by heading down there in person with your resume. There, you’ll be able to request a free application form from the manager as there isn’t an option to download a printable application for Smith’s Food And Drug. The interview process will most likely only take a couple of weeks to complete. You will normally be asked to hold a brief phone interview first to ask some basic questions about you and your experience. All candidates will also be asked to complete a background check and a drug test. Afterwards you will be invited to one or more face-to-face interviews. Remember to be well presented when you turn up so that you give off a good first impression. It’s important to be friendly with your interviewer, so smile and make eye contact, but also be professional. Answer their questions in complete sentences and speak clearly. Foodtown: See our resource page for more information on Foodtown careers. Safeway: See this page for jobs at Safeway. Dierbergs: See this page for jobs at Dierbergs. Martin’s Food Markets: Use the Martin’s Food Markets job application to apply here. Harris Teeter: See our resource page for more information on Harris Teeter careers.